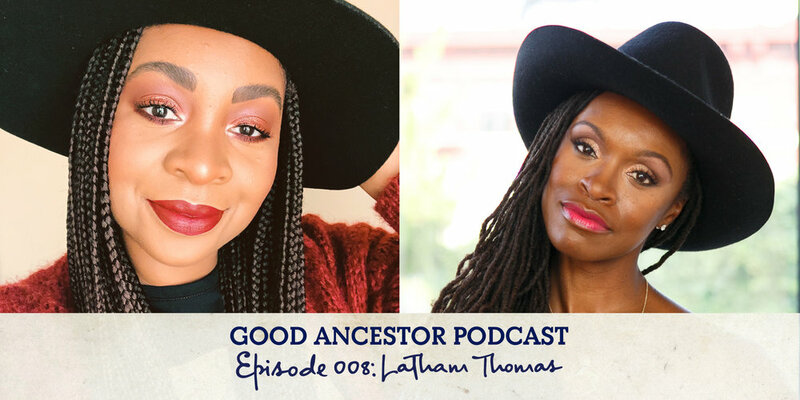 In this episode, I speak with author, birth doula and wellness maven, Latham Thomas. After giving birth to her son Fulano in 2003, Latham Thomas set out on a mission to help women reclaim birth. A graduate of Columbia University & The Institute for Integrative Nutrition, Latham is a maternity lifestyle maven, world renown wellness leader and master birth doula on the vanguard of transforming the wellness movement. Named one of Oprah Winfrey's Super Soul 100, Latham is bridging the gap between optimal wellness, spiritual growth, and radical self care and is the go-to-guru for modern holistic lifestyle for women. She authored the bestselling book titled, “Mama Glow: A Hip Guide to a Fabulous and Abundant Pregnancy”, foreword by Dr. Christiane Northrup in 2012 and most recently published bestseller OWN YOUR GLOW: A Soulful Guide to Luminous Living and Crowning the Queen Within. Latham serves on the TUFTS University Nutrition Council and is also a member of the Well + Good Council where she provides expertise in women's wellness, pregnancy and self-care. In March of 2018, Latham released the meditation audio program, BEDITATIONS: Guided Meditations and Rituals for Rest and Renewal. She teaches at universities and teaching hospitals around the country, helping to improve the patient labor and delivery experience. I hope you enjoyed this conversation as much as we did. Click the play button below to listen in now. Or if you prefer, click here for a full transcript. Love this podcast? Subscribe on iTunes, Stitcher or PodBean, and leave a rating and review. Leave a comment at @goodancestorpodcast on Instagram with your thoughts, and don't forget to subscribe to the podcast on iTunes, Stitcher or PodBean.